I'm from the good ol' USA here in South Carolina. However, I can say that I was born in the video game studio known for creating the wildly popular 'Elder Scrolls' series. I come from a faraway land called... NationStates. Call me Corvo or Abserdia. Or anything else. 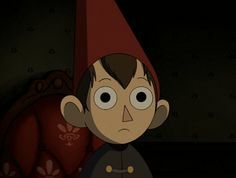 My flag is Wirt from Over the Garden Wall, my favorite show. I'm from Columbia, South Carolina, but I currently live in Raleigh, North Carolina.